Dark Benediction, by Walter M. Miller, Jr., is perhaps my favourite short story of all. I say "perhaps" because there are 2 or 3 by Flannery O'Connor that I love with approximately the same passion. SPOILER ALERT! If you would like to read this story without first reading my analysis, stop reading now and go obtain the book! Synopsis: Meteors have fallen to earth, but they were not mere rocky projectiles. They had been sent with hopeful benevolence by the beings of another race, with the thought that the "neuroderms" ("intelligent" micro-organisms) contained in the meteor would be a blessing to some other race. Surely, the neuroderm parasites had been a blessing to their own race, granting them almost superpower levels of sensory perception, by benevolently changing the nervous systems of the host beings. When earth scientists (actually an engineer, I believe) sawed open one of the hollow spherical meteors, the parasites were released into our world, and began to spread through the human population. Unfortunately, besides gradually enhancing the senses of those "infected", the neuroderm parasites also turned the skin of the host a sickly grey, and gave them a longing to touch uninfected human skin. Other than that, the "dermies" (as the infected humans came to be known among the uninfected) were quite happy. Happier, in fact, than before they had become infected. Those not infected fled from the major cities in a panic, throwing the nation into chaos. The uninfected desperately did not want to be infected and have their own skin take on the sickly grey appearance. But the dermies chased the non-dermies, with a sort of dual purpose: (1) they took physical pleasure in the smell and touch of non-infected skin; (2) they felt that the non-dermies (the called them "non-hypers" and themselves "hypers") would be happier once they became infected with neuroderm. There is a love story, and there is an interesting Church-based hyper colony on Galveston Island, in Texas. I won't spoil the story and further for you. I would like to comment on how effectively Miller has done something here, and that is to explain Christians to non-Christians, and vice versa. When I read this story for the first time, a little over 20 years ago, it immediately occurred to me how very like dermies we Christians are. The parallels are amazing. It is a regular occurrence for instance, for me (and all Christians) to be treated as crazy, mentally-diseased people, by atheists on the internet. They treat us as subhumans. It will happen to you daily if you go to certain places on the internet. And yet my testimony and the testimony of many other Christians is that we are much happier this way than we ever were before, before we were "infected" with the Gospel. And, don't you know, we like to try and infect others, too, so that they can share in the joy! And this desire to confer the blessing we have received on the uninfected ... well, it makes them fear, hate, or avoid us like the plague. 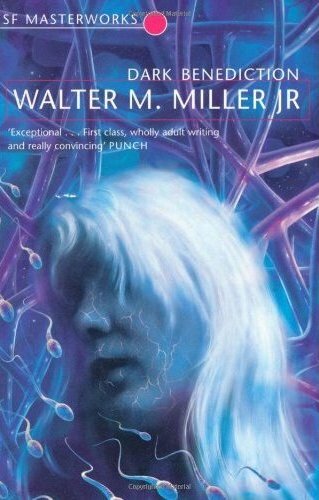 I think the convinced Christian and the non-believer can appreciate Miller's story equally, and that is part of its genius. I highly recommend this story to you! While I really like the humor of this ad, and despise the ringing of cell phones in church, the Presbyterianism of the ad shows through painfully! The highest level of fine should clearly be for a cell phone ringing during the Eucharist, not during the sermon!